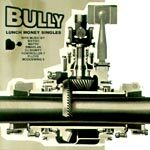 For those of you who slept on Bully Records' limited singles or those of you that are record-less, the nice folks at Ninja Tune have compiled most of the singles onto one disc and even thrown in some bonus tracks just because you love them so much! Sixtoo, Controller 7, Moodswing9, and more!!! Do we really have to explain how dope this is???!! !